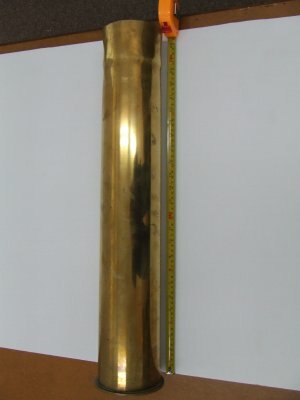 Description 2 of 17 Brass Shell Cases. 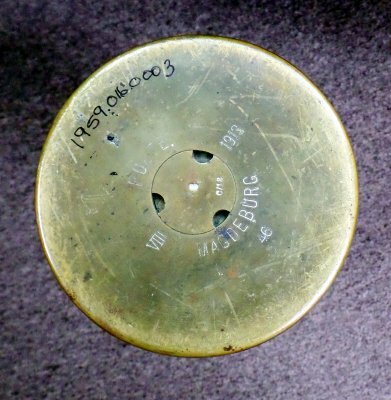 Has 1913 on the bottom, case is 10.5cm wide and 60.5cm high. On the bottom is marked: M. POLTE. VIII. 1913. C/12. Magdeburg. 46. It is a very large German made shell case. WW1.